To help meet the demand for Webkinz sweeping the continent, Ganz has come out with a new line of Lil'Kinz. Like their larger counterparts, Lil'Kinz characters come with their own codes that are revealed after purchase. Kids adopt the little guys as their own and take them into an online world of fun and KinzKash. Kids can now make Lil'Kinz Hippo their best buddy, play some games at the arcade and stop by the "W" shop to pick up a bowl of crunch "shoots n' roots." — “We sold over 2,000,” Gwen Boden said of how Webkinz fared in 2007. Boden is the manager of Doodlehopper in Springfield, Va.
— “Webkinz: We sell daily, hourly,” Robin Ellerman, owner of Trains-n-Toys in North Canton, Ohio, told TDmonthly. 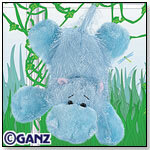 — Over 21 percent of retailers told TDmonthly that Webkinz was their all-around best-selling item of 2007.